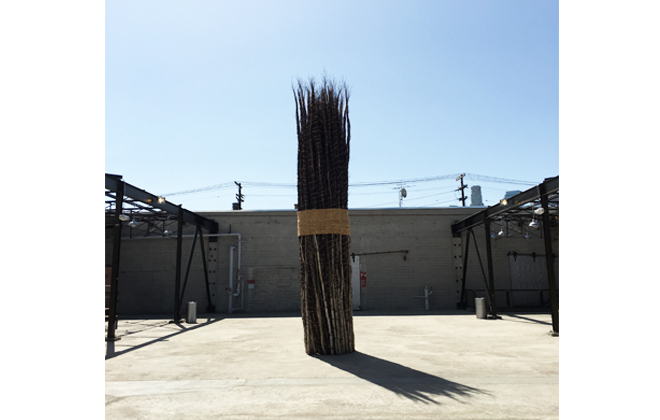 While in LA last month I had the chance to go to Hauser Wirth + Schimmel, the newest addition to Downtown LA’s burgeoning arts district. But the new outpost for the international gallery (which already has locations in NY, London, and Zürich), is anything but another white box gallery space. 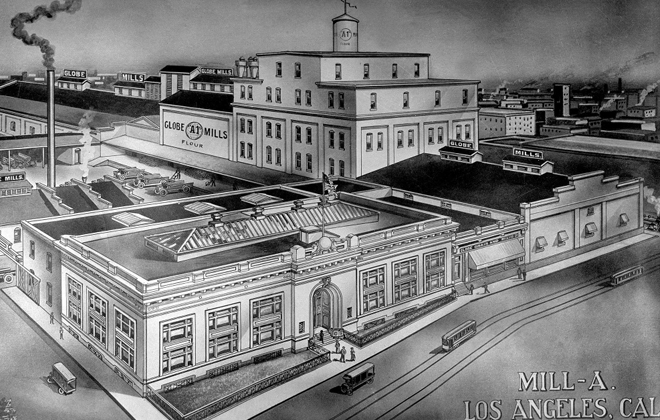 Rather the converted 100,000 sq ft flour mill complex functions more like a museum in and of itself, with multiple floors of exhibition space, a beautiful book store, cafe, and outdoor space including beautiful gardens that are open to the public. 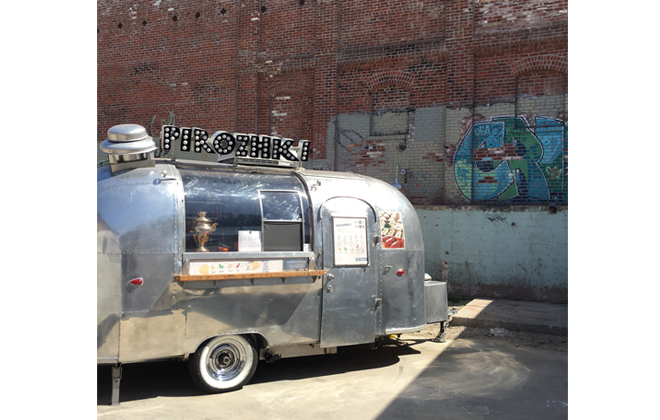 There is also an amazing food truck in an airstream called Pirozhki, parked in one of the spaces there. The project, which opened this spring amongst much anticipation, really is quite breathtaking. With famed restoration expert Annabel Seldorf on board, the space really does maintain all of the industrial charm of the old flour mill, while still functioning as a contemporary art viewing space. The old flour mill that has been brought back to life. 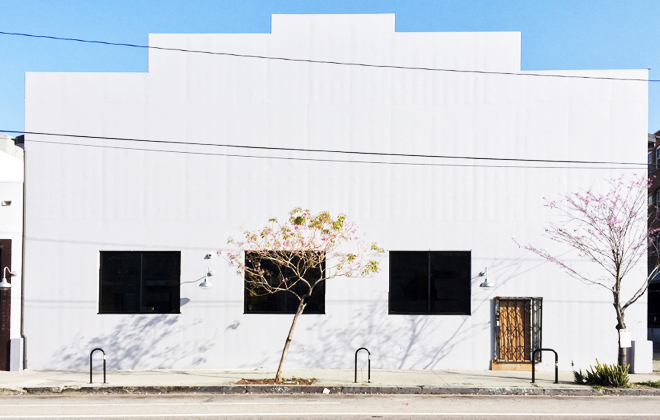 The minimalist exterior juxtaposed against the lovely LA blue skies. Sadly, we weren’t allowed to take any pictures where the art is displayed so I don’t have too much to show you there. 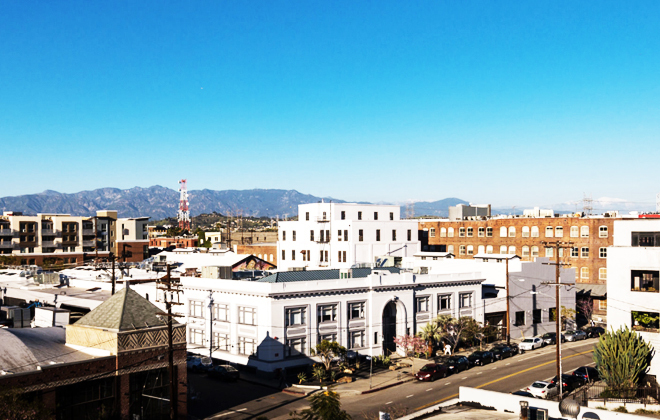 The burgeoning LA art scene is in great part responsible for the city’s downtown renaissance and this new museum is one major reason that it will continue to grow and expand. It’s not the prettiest of areas, but it is definitely cool and there are also some exciting new stores, restaurants and cafes popping up in clusters nearby. More on that another time. Here is a picture I took of the (closed) airstream food truck. Love how it looks against the old graffiti brick. An image of the sculpture exhibit that I did NOT take. It came from the Hauser Wirth website so no wrong doing on my part! I have no idea what this is actually but again it looked fantastic. Like a huge stalk of asparagus right in the middle of the open air common space. 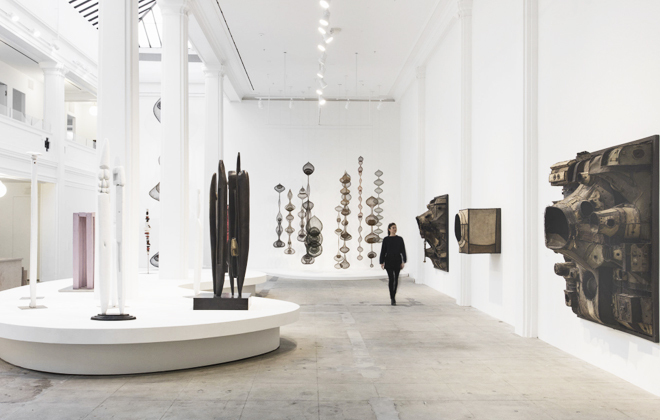 Hauser Wirth + Schimmel really are changing the game in terms of the role galleries play in the art world, pushing more towards exhibition-style programming and community engagement, rather than just influencing market behaviors. It will be interesting to see if more galleries begin to follow suit. But for now, it is a must see if you are in LA, and I will definitely be back to see how their programs progress!